Driver's Daily Logs and Straight Bill of Lading forms come in many sizes and formats. 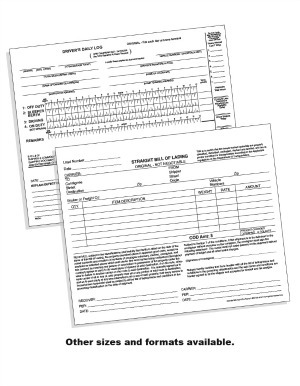 We have stock forms available or if you need something custom, we can get them for you. We even have custom sized 3-ring binders available for our stock forms.